Have you ever been faced with a patient mobility challenge at the point-of-care when your patient had to be moved but moving the patient alone was not within your physical capabilities? In that instance, did you recall from your past experiences the various lifting options you maybe once applied in similar situations but was conflicted because of all the new information related to back injuries from manually lifting patients? The one time you actually considered using the patient-lift device located in the storage room on your unit, could you be confident that it was capable of addressing the mobility needs of your patient? What decision did you eventually make and would you make that same decision if a similar situation were to reoccur? Choosing the appropriate patient-lift device, as well as having the appropriate equipment available, is necessary when seeking to safely address patient mobility challenges at the point-of-care. Having a preplanned solution before being faced with a patient mobility challenge would not only be ideal, but also beneficial to protecting both the patient and the caregiver’s safety. It would be helpful to include your patient’s mobility limitations as part of your nursing assessment because this at minimum invokes patient mobility as a safety consideration. Once the patient’s mobility challenge is identified, the caregiver can then move to determining whether available equipment is sufficient to meet the needs of your patient. Understanding the functions for various types of patient-lift devices is essential to addressing patient mobility challenges. The caregiver should start by first identifying what prohibits the patient from freely moving about safely. After the mobility objective is established, the caregiver should then be aware of whether the available assistive device(s) would provide adequate assistance to meeting the patient’s needs. Far too often, efficient patient-lift equipment goes underutilized simply because the caregiver lacks basic knowledge for how the patient-lift device is intended to operate and/or when to apply it. There are three major categories for patient-lift equipment: Total Assist Equipment, Moderate Assist Equipment, and Lateral Transfer Devices. Though these three groups are intended to address three distinct levels of patient mobility limitations, it doesn’t necessarily mean that patients are limited to any one particular group or the other with the exception of most Moderate Assist Equipment. Total Assist Equipment was created to address the mobility status of patients who are unable to move themselves. Most bedridden patients require a total assist lift. This category also includes those patients who may be able to minimally assist but still require the caregiver to perform most of the movement. For those patients who are able to stand and bear their own body weight, Moderate Assist Equipment provides a likely option. These lifts are created to assist patients to transition from a seated position to a standing position. Moderate assist lifts tend to come into play for patients who lack sufficient core strength and struggles when trying to move from a seated position to a standing position. When patients such as these are seated on objects with low centers-of-gravity such as commodes, they are more than likely to require assistance to stand. Having a moderate assist lift available is extremely beneficial in preventing staff from having to pull or lift patients into standing positions. These lifts are capable of performing the movement safely while reducing the injury risks to caregivers. Lateral Transfer Devices are typically seen in operating rooms or in diagnostic areas such as radiology. These devices are sometimes used on medical/surgical units as supplementary pieces to primary patient-lift devices. One of the leading causes of injuries to nurses working at the bedside are activities that require caregivers to turn and reposition patients or to laterally transfer patients from hospital beds to stretcher. Lateral Transfer Devices decrease the manual effort required to perform such nursing tasks. Knowing which device to choose in different situations is important to getting the most out of patient-lift devices. Understanding equipment functions allow staff to prepare for how they will safely care for their patients. As we continue as a nursing community to experience musculoskeletal injuries to caregivers, questions for how we transition patient-lift devices into nursing practice processes will continue to arise. How willing are you to make patient-lift equipment the practice expectation as opposed to the every once-in-awhile exception? 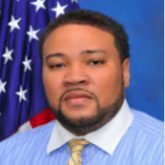 Roric P. Hawkins is the CEO of Strategic Lifting Solutions Consultants and the safe patient handling/reusable medical equipment coordinator at Michael E. DeBakey VAMC in Houston. The views expressed here are his own. When it comes to choosing lift equipment, there are many options but one of the most important thing is the fact that you need to do your research before purchasing one. Kudos to you for posting this. There are many options to choose from but selecting and implementing a patient-lift device that addresses the mobility challenges of your particular patient population typically encourages equipment utilization amongst employees. Sit-to-stand devices are popular on rehab units especially when it also possesses the capability to be used as an active device. The more patient-lift equipment can be used to enhance the quality of patient care, the more likely staff is to depend on it. It is a win-win for both staff and patient safety. . I completely agree. I’m on a rehab unit where the few patient lift equipment that we do have is underutilized either due to convienence or lack of knowledge on how to operate. I know my facility is looking into developing a program for safe patient handling which I think we can greatly benefit from. If we bring it to the forefront of everyone’s mind then there’s a greater percentage that safe patient handling equipment will be used.